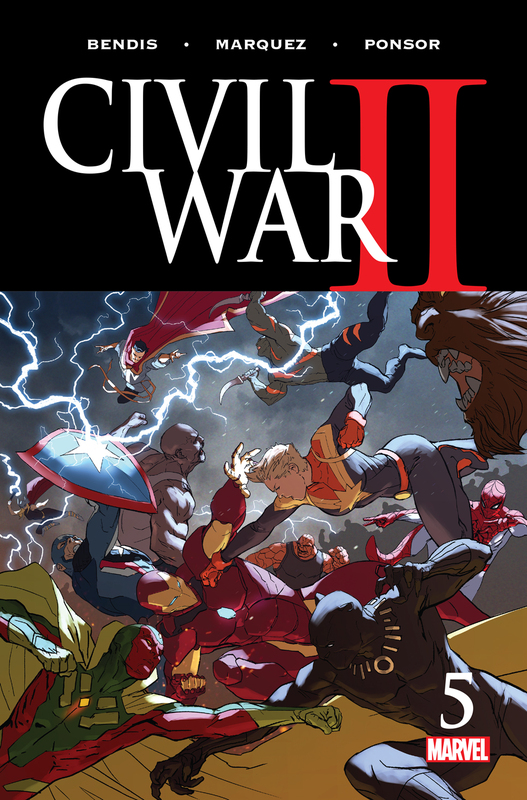 Civil War II feels like an epic, important superhero comic. It’s got major character deaths, a moral dilemma that has divided our heroes, and the future hangs in the balance. So why does it feel like nothing has happened in this series? This story is more than halfway over. But it feels like we’ve barely started. Last issue we saw Clint Barton, a.k.a. Hawkeye, murder Bruce Banner before he could become the Hulk and cause a cataclysmic disaster. Such was the word of Ulysses, an Inhuman who can apparently see the future. Now Barton has been exonerated, and our heroes are left wondering what comes next. Tony Stark pleads his case: That Ulysses’ visions are only of a potential future, and to act on them eliminates free will from the equation. 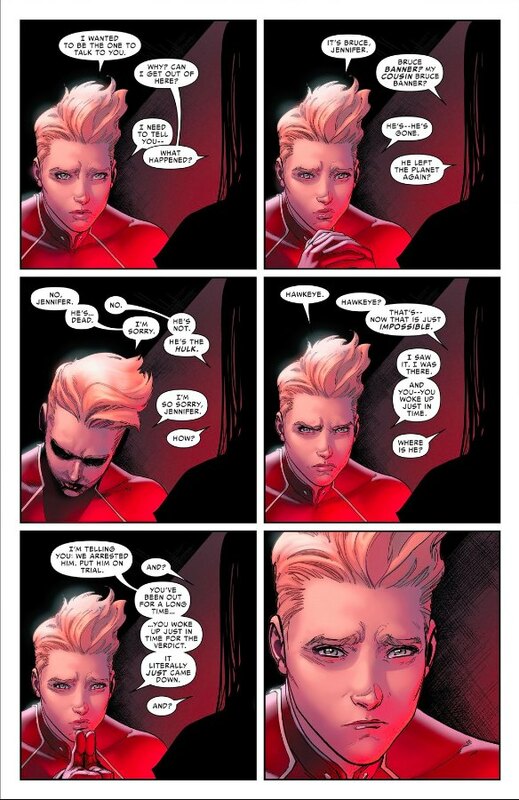 But for Carol Danvers, it’s better to be safe than sorry. 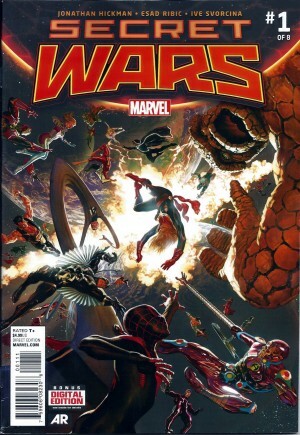 By the end of the issue, battle lines are drawn. But Carol has some unexpected back up on the battlefield. Issue #0: The president tells Rhodey he should aim for the White House, Ulysses has his first vision. Issue #1: Heroes avert disaster thanks to Ulysses’ vision, they talk to him about said visions, Rhodey dies in a mostly off-page fight. 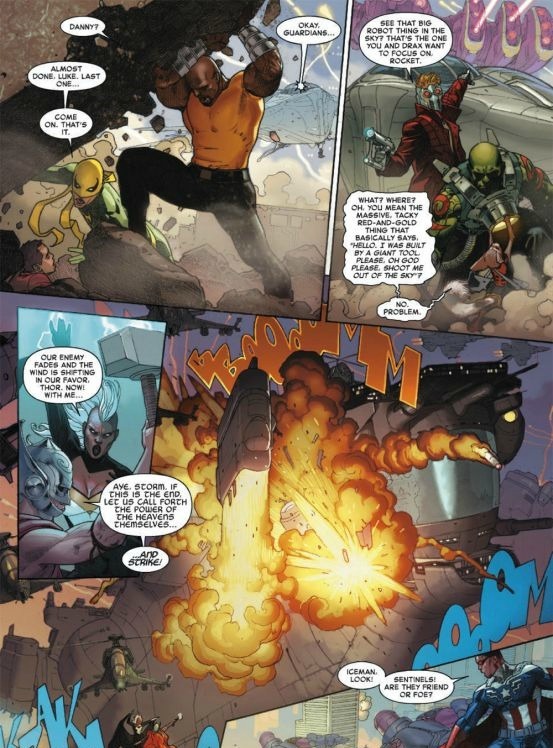 Issue #2: Iron Man kidnaps and questions Ulysses, who has a vision about the Hulk. Issue #3: Hawkeye kills Bruce Banner to prevent a disaster. Issue #4: Hawkeye is exonerated, the heroes get ready to fight. There’s so much talking. Explaining, expositing, philosophizing, arguing. Even when Banner is killed it’s an abrupt shot to the head in the middle of a big conversation. There’s tension in these issues. But in the sequel to the biggest superhero event comic of all time, we’re strangely low on actual superheroics and events. 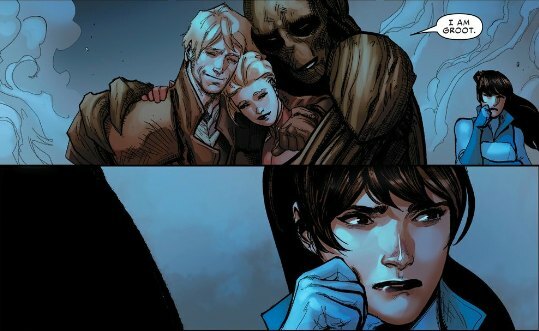 That’s why, even though much of consequence has happened in these pages, it feels like very little. As I’ve said previously, it’s not that every superhero comics needs to have people punching planes to have a major impact. And laying the foundation for something big like this is important. But you’ve also got to hold the reader’s interest and keep them engaged. 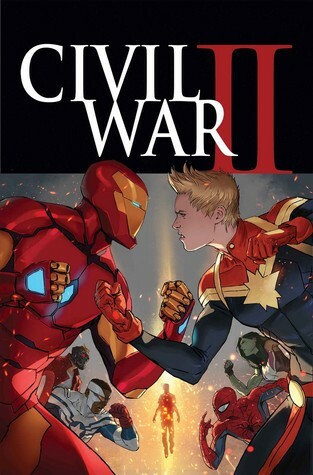 Civil War II is not as engaging as it should be. Especially at this point in the game. 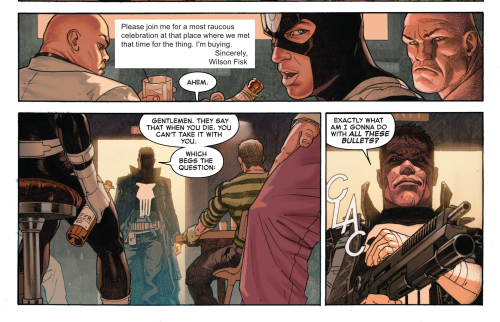 On the plus side, artist David Marquez and colorist Justin Ponsor are turning in some good stuff. 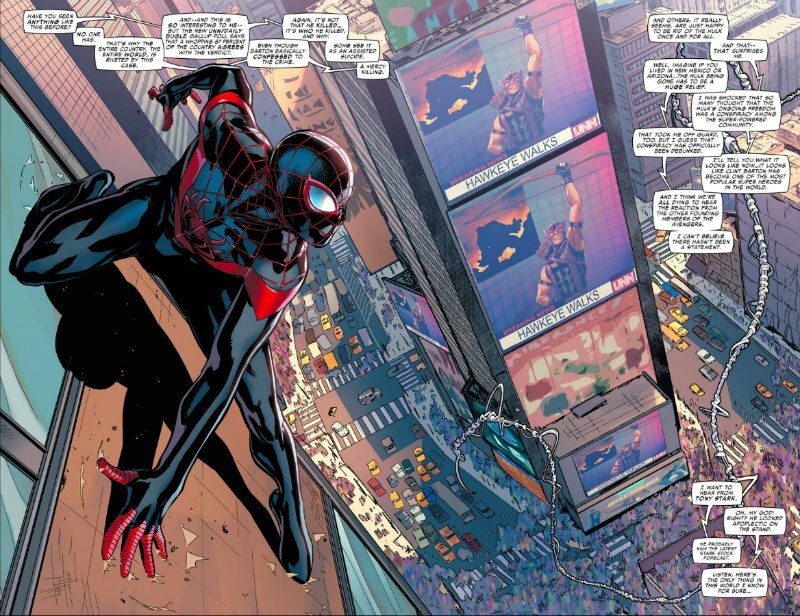 I love the splash page of Spider-Man overlooking Times Square as the news breaks about Hawkeye (shown above). 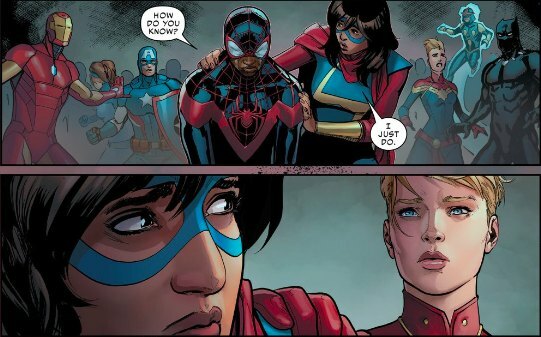 Once again, our team makes a point to toss Miles Morales into the mix, despite him having little to do with the events unfolding. It’s as if he represents a civilian’s view of everything we’re seeing. Given how young, and relatively inexperienced Miles is, that’s a good role for him. I do have one nitpick: Let’s be careful about the teary, doe-eyed, pouty faces. 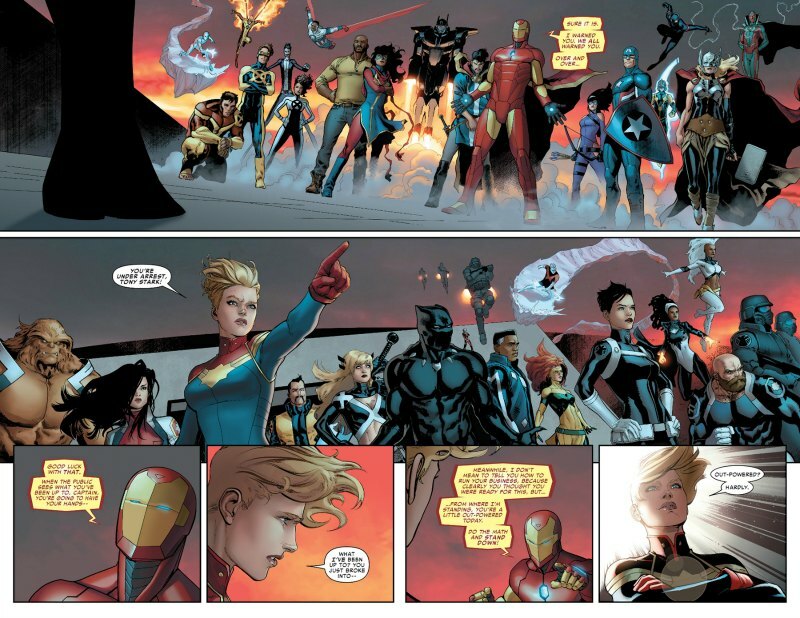 We get a bunch of them from Carol Danvers as she tells Jennifer Walters what happened to her cousin. 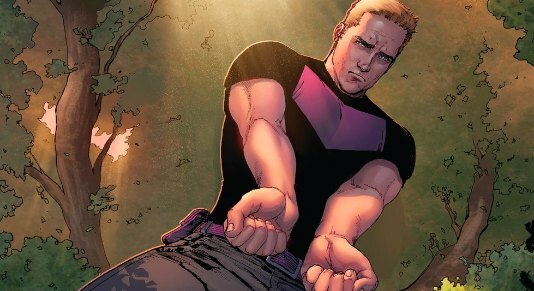 Hawkeyes had a similar expression last issue when he surrendered. That expression is meant to convey the emotional impact of the moment. But at this rate, it’ll be comical by next issue. 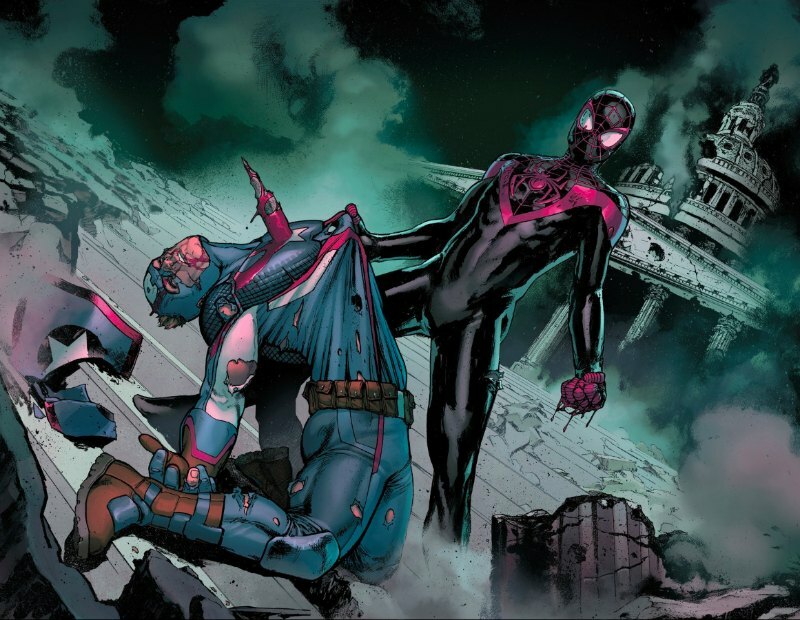 This entry was posted in Comic Books/Graphic Novels and tagged Bruce Banner, Bruce Banner dead, Bruce Banner death, Captain Marvel, Carol Danvers, Civil War II, Civil War II #0 (2016), Civil War II #1 (2016), Civil War II #2 (2016), Civil War II #3, Civil War II #4 (2016), Clint Barton, comic book reviews, comic books, event comics, female superheroes, Hawkeye, Hulk, Iron Man, James Rhodes (Marvel), Justin Ponsor, Marko Djurdjevic, Miles Morales, Rhodey, Rob Siebert, single issue reviews, Spider-Man, superheroes, Tony Stark, Ulysses (Inhumans) on 08/03/2016 by primaryignition. A few days ago we lost the great Darwyn Cooke. Make no mistake about it, folks: He was great. Don’t take my word for it. Just take a look at his work. Type his name into Google Image, and you’ll see art from Batman: Ego, Catwoman, The Spirit, Parker, some of his recent DC variant covers, Before Watchmen: Minutemen, and more. Seemingly everything this man drew looked iconic, timeless, and at certain points idyllic. He could do heartbreak and drama as well as anybody, but his characters also weren’t afraid to smile. In the eyes of many (myself included), Cooke’s magnum opus was DC: The New Frontier, one of the projects he both wrote and drew. Set in the ’50s and ’60s, The New Frontier shows us a world driven to paranoia by the Cold War. The superheroes of the Golden Age have been driven into retirement. But a new generation rises to take the world into a new era, and combat a deadly extraterrestrial foe. In the process, we see the rise of Hal Jordan as Green Lantern, the formation of the Justice League, Martian Manhunter learning about this strange new society, and much more. It’s a love letter to the era Cooke grew up in, and his passion is very much on display. The story was eventually made into an animated movie, and I’ve always remembered a moment from an interview Cooke gives for the DVD. At one point he gets choked up when talking about that period in history, obviously waxing nostalgic for his childhood. Before his work in the comic book industry, Cooke worked as a storyboard artist on both Batman: The Animated Series and Superman: The Animated Series. He even created the opening title sequence for Batman Beyond. He even created a Batman Beyond short film in celebration of The Dark Knight’s 75th anniversary. To say the least, it’s glorious. It’s a crime that we lost one of the true greats in the industry to cancer. 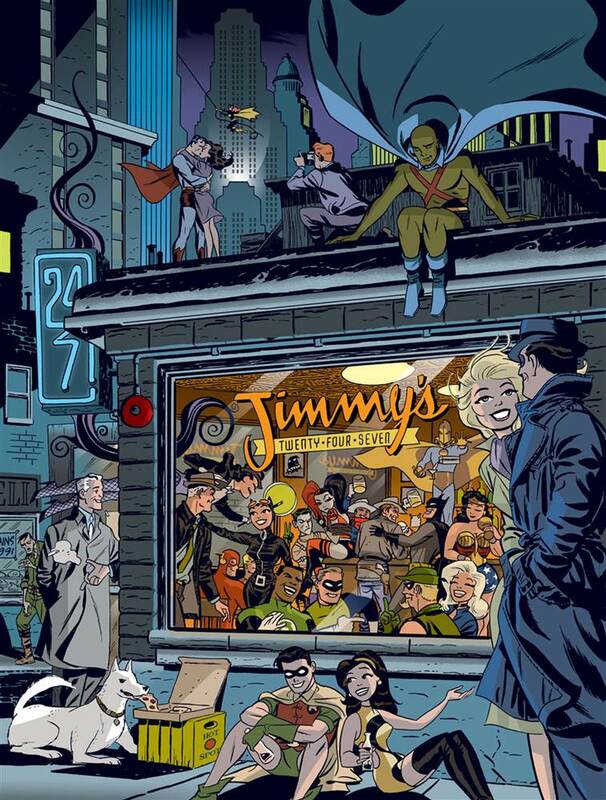 But what an incredible legacy Darwyn Cooke leaves behind. He was a true giant whose work will undoubtedly stand the test of time. Like a lot of fans, I did a double take when I saw Chloe Grace Moritz wearing a very Captain Marvel-ish jacket on the cover of Glamour. Granted, I’m sure it doesn’t mean anything. At least not yet. She might be a little young, but she’s hardly the worst pick in the world to play Carol Danvers. 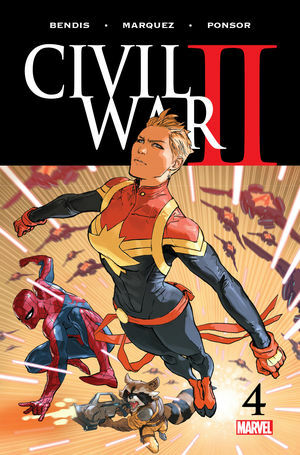 I’ll say this much: She looks good in the Captain Marvel colors. On the subject of Moretz, as I type this we’re a few days away from the release of Neighbors 2: Sorority Rising. Moretz plays one of the sorority girls that moves in next to Seth Rogen and Rose Byrne. I’m not a huge Seth Rogen fan, but Neighbors was his best movie in quite some time. The sequel, however, feels like a contrived excuse to remake it. My token bad sequel example is always Home Alone 2: Lost in New York. This seems like it’s cut from that same cloth. The reviews for X-Men: Apocalypse don’t look as great as one would hope. 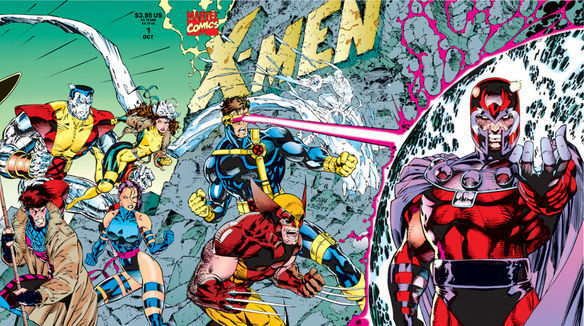 But it may not matter much, as apparently there are already plans for another X-Men film set in the ’90s. Director Bryan Singer says they may do something with an outer space element. Meh. Now that the crew from First Class (Jennifer Lawrence, Michael Fassbender, etc) are likely done, and Hugh Jackman is probably done after the third Wolverine flick, this seems like a good opportunity to give the X-Men franchise a new jumping on point. We’ve done some cool world-building in the last few years. But I’m itching to get back to a core team of X-Men. Wolverine, Cyclops, Storm, Jean Grey, Beast, etc. If you have to recast everybody, then just rip the bandaid off and do it. Bleeding Cool ran a story yesterday on which X-Men comic book stories could inspire the next movie. With the space idea in mind, they pitched The Dark Phoenix Saga (they noted it might have a stench on it from X-Men: The Last Stand) and The Brood Saga. Personally, I’m in favor of a more back to basics approach. If the movie has to be inspired by a particular story, my pick is Mutant Genesis, the first story in the Chris Claremont/Jim Lee run from the ’90s. Magneto creates an asylum for mutants on an asteroid called Asteroid M, which naturally creates problems. That keeps it nice and simple, doesn’t it? The X-Men vs. Magneto. And they can keep the X-Men fairly tight knight. Xavier, the five heroes I mentioned above, and maybe Rogue? Or Gambit? Maybe Colossus? Either way that leaves us with seven X-Men total. That’s the same number of Avengers we had when that franchise started. And that satisfies this alleged desire to take the franchise into space. I give Fox a lot of credit for not giving the franchise a hard reboot. But that doesn’t mean we can’t make it a little more accessible. Image 1 from nbcnews.com. 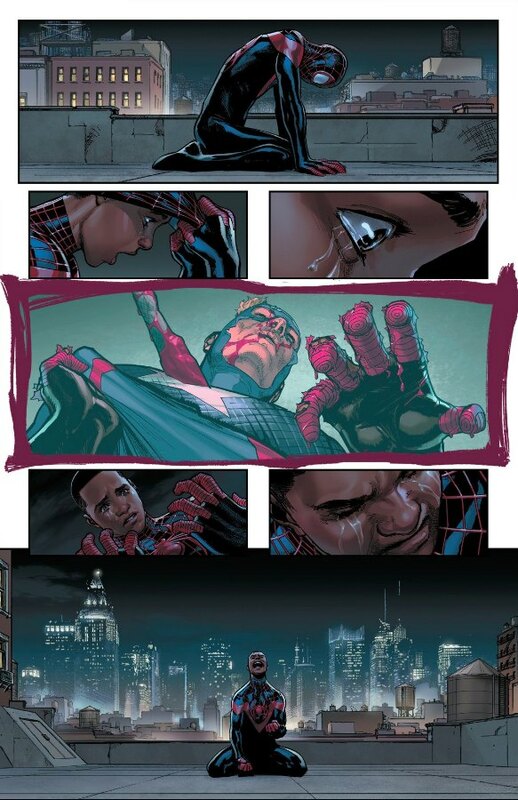 Image 2 from newsarama.com. 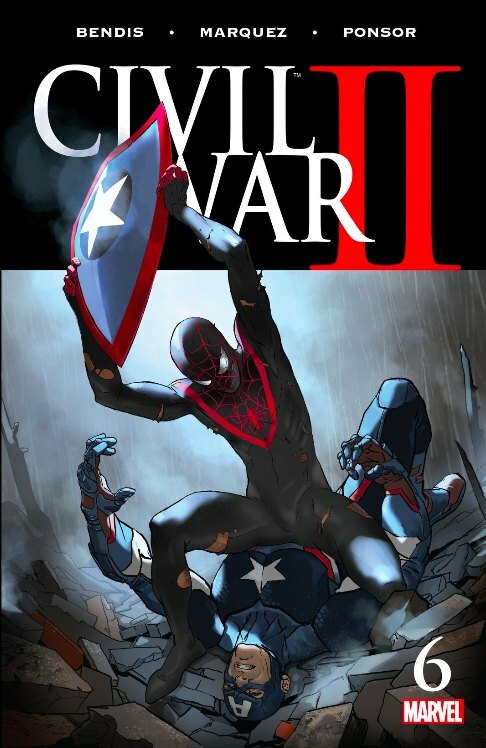 Image 3 from marvel.wiki.com. This entry was posted in Opinion and tagged Batman, Batman Beyond, Blatant Insubordination, Captain Marvel, Carol Danvers, Chloe Grace Moretz, Darwyn Cooke, Darwyn Cooke cancer, Darwyn Cooke dead, DC: The New Frontier, Glamour Magazine, Marvel, Neighbors (2014 film), Neighbors 2: Sorority Rising, Rob Siebert, superhero comics, superhero movies, X-Men, X-Men Movies, X-Men: Apocalypse, X-Men: Mutant Genesis on 05/15/2016 by primaryignition.